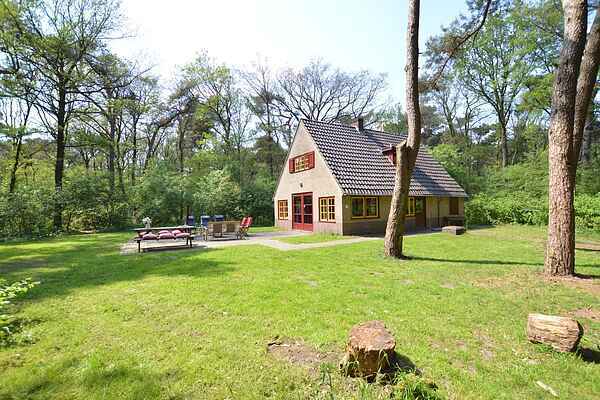 This detached home is located in the middle of the forest of Drenthe, near Zuidwolde. On this 20-hectare estate, called De Wildenberg, you can enjoy nature in a wonderful way. This home's charm is its simplicity, but you still have everything you need for a delightful stay. The holiday home is furnished in a rural style. Your alarm clock in the morning are the birds singing. Combine this with the fresh forest air and you'll feel like reborn. De Reest is the border river between Drenthe and Overijssel. The area is perfect to take beautiful walks and biking tours. Especially the vast forest and heath area Wildenberg-Rabbinge is perfectly suitable for walkers. The paths will bring you along a varied landscape with estates, heathlands, forests, meadows and atmospheric farms. This location is also ideal as starting point for nice activities. You could visit Slagharen and Giethoorn with the whole family, or go and explore the nature and playing path. Emmen Zoo is also nearby. In the nearby town of Ruinen you can enjoy local food from Drenthe.